It’s an irony that as Russia celebrated Victory Day, 73 years since the Allied victory of the tyranny of the Nazis, President Putin hosted Prime Minister Netanyahu as an honored guest. The timing and symbolism were meaningful. At the same time, Israel was preparing to launch a bold military strike against the modern regime that’s the Nazi’s successor: Iran. According to reports, Netanyahu informed Putin of impending strikes on Iranian military targets in Syria, and at least passively received Putin’s blessing. Numerous reports have been published about the attack and the Iranian firing of 20 rockets at Israel from Syria, but I couldn’t help watching this video of one of these strikes, over and over. If you pay attention you’ll even note one of the latest martyrs to Allah. Despite the success of Operation House of Cards, we are not out of the woods. Further conflict and even an all out war might occur. 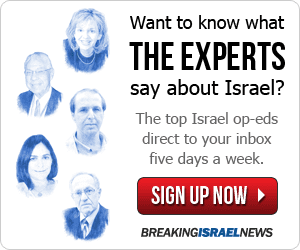 Israelis are preparing. Bomb shelters in the Golan have been ordered opened and readied, and year-end school trips to northern Israel are being postponed and canceled. One friend’s four year old came home from school where the threat was clearly discussed and asked calmly when the rockets are going to start. Unlike other recent incidents involving attacks on Iranian and Syrian military installations with Israel not taking credit or even making any official comments, following the recent strike, the biggest military operation by Israel in Syrian since 1974, Israel not only took credit but threatened more. In one instance, a cabinet minister said that if Syrian President Assad were to allow Iranian aggression against Israel from Syria, Israel could even take out Assad. For a man whose own power has been teetering for most of the last decade, and who only recently has started to see gains against ISIS and other insurgent groups, this threat is not one to take lightly. Yet its unlikely Assad can control Iran, much less do anything than be its puppet. Iran’s response to the recent attacks on its military installations, leaving dozens of mostly Iranians dead, has been interesting. Previously, whether Israel has been responsible for specific attacks, not taking credit has given the Iranians and Syrians the ability to deny anything happened, and not feel compelled to respond. Nevertheless, it’s a reflexive action when military operations take place that Iranians (and Syrians and others) use the opportunity to blame Israel. In this case, where Israel made it clear that it did carry out this attack on dozens of Iranian locations in Syria, Iran’s response was not to blame Israel, but to deny it had any military presence in Syria at all. If it weren’t so ridiculous it would actually be funny. A consequence of Iran saying that Israel’s claims are fake news is that it can’t threaten to retaliate against Israel publically for something they deny happened altogether. Now, Iran is batting with two strikes. It’s not the ninth inning, but added to the military strike this week for which Israel took credit, and the recent revelation of Israeli intelligence penetrating deep into Tehran to walk off with literally tons of documents and electronic files affirming their lies about plans to build nuclear weapons, their back is up against a wall. Why would Iran not respond now, or why would they do so specifically now? It seems intuitive that if Israel can act as it has against Iran in Syria, they should be concerned about Israel striking deep into Iran with even greater force. Iran has, and could launch, accurate long range missiles at Israeli cities, but doing so would beg an Israeli retaliation that would be potentially disastrous for their military as well as the survival of the regime. Iranian action that would draw a punishing Israeli response now, before they have nuclear weapons, would probably not be in their interest. However, the Iranians are not far from being able to produce a nuclear weapon, or at least a long range dirty bomb, and borrowing another sports metaphor, if their back is sufficiently up against a wall, might just go for the Hail Mary, or in their case Hail Mohamed. One thing is abundantly clear: Israel will not tolerate Iranian threats beyond a certain point, and made that unambiguous this week. And while Israel might not seek to instigate a major operation, Israel might welcome the opportunity if it presents itself, to strike Iran hard. Israel knows that Iran is certainly much less of a threat now, before it has nuclear weapons, and could well evaluate that even an all out war would be better now than later when Iran could do more damage. Many other regional and global factors are at play including Palestinian Arabs in Gaza building up their weekly and ongoing violent protests against Israel leading up to May 15 anniversary of what they call the “Nakba,” or catastrophe of Israel’s birth 70 years ago. The opening of the US embassy in Jerusalem will also likely see a wider backlash. Hezbollah winning an election in Lebanon making it, along with more than 100,000 rockets it has pointed at Israel, even more powerful. And the pending meeting between President Trump and N. Korean leader Kim Jung Un which could send a clear signal to rogue terror states like Iran that the game is over in terms of threatening the world with nuclear weapons. Don’t be surprised to see increased violent protests from Gaza where Hamas may feel marginalized and want to flex its muscles while giving Israel a black eye publically as much of the world is supporting Israel’s right to use force to defend itself. In the scheme of things, that’s a sideshow. The one thing to be sure of is to keep your eyes on Iran. On Syria. And on Iran in Syria. Jonathan Feldstein was born and educated in the U.S. and immigrated to Israel in 2004. He is married and the father of six. 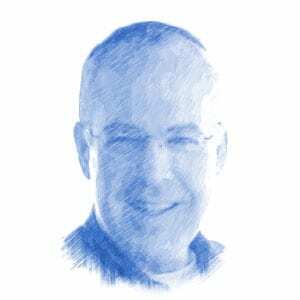 He has a three decade career in nonprofit fundraising and marketing and throughout his life and career, he has become a respected bridge between Jews and Christians. He writes regularly on major Christian web sites about Israel and shares experiences of living as an Orthodox Jew in Israel. He can be reached at FirstPersonIsrael@gmail.com.